Home / NSF / trade secrets / Whatever the Report Says: Can Trade Secrets Really Be That Important? Whatever the Report Says: Can Trade Secrets Really Be That Important? We all rely on anecdotal evidence to help form our understanding of the world, but it seems to this Kat (anecdotally, as it were) that there is little discussion about the robustness of relying on anecdotal information in our daily IP practice. His complacency over the role of anecdote in IP was shaken several weeks ago, when the IPKat briefly reported here on the initial results of a survey from the National Science Foundation here and the United States Census Bureau on the importance of intellectual property rights to businesses located in the U.S. This Kat decided to dig down deeper, so he tracked down a copy of the report ("Business Use of Intellectual Property Protection Documented in NSF Survey", National Center for Science and Engineering Statistics, Infobrief, February 2012 here. 1. "...[T]rademarks and trade secrets are identified by the largest number of businesses as important forms of IP protection, followed by copyrights, and then patents. However, the level of reliance on each of these forms of IP protection varies considerably across industry sectors....[A] very large fraction of businesses within the "all industries" totals did not report using most forms of IP protection." 2. This rank of order of importance of IP rights held true when the results were broken down by "Non-manufacturing", "Infomation" and "Manufacturing" categories. For all three of them, trade marks, trade secrets and copyright far outweighed both utility and design patents as being either "very important" or "somewhat important" to the surveyed businesses. This is where this Kat's sense of the anecdotal kicked in. In particular, he was struck by the significantly greater "importance" (whatever that means in the context of the survey) attributed by businesses to trade secrets than to patents. This seems contrary to his anecdotal experience. True, for years this Kat has tried to track down, without success, a supposed report produced by the OECD here which concluded that more technology is transferred in the form of trade secrets than patents. In the main, however, trade secrets and know-how have played a much smaller role in his daily IP practice than the other major categories of IP rights. An NDA here, a "know-how" appendix to a share purchase agreement there -- but when was the last time that he was asked to consult a client on a comprehensive policy for identifying and protecting the client's trade secrets? This conclusion is reinforced by the consistent reaction of students in my MBA class whenever trade secrets are discussed. Consistently, the students are a bit mystified by the entire treatment of trade secrets and they are usually hard-pressed to discuss how trade secrets play a role, whatever business they are in and whatever role they play within that organization. The anecdotal evidence against the importance of trade secrets, in comparison with the other IP rights, goes on. Consider what proportion of the posts on IPKat (or any other blog devoted generally to IP rights) actually consider trade secrets. My anecdotal impression is that trade secrets lag significantly behind patents, trade marks and copyright. Reflect on the course offerings for intellectual property law. How many courses are devoted to trade secrets, in whole or even in material part? Here, as well, my anecdotal understanding is that there are few such courses. And yet -- staring directly in this Kat's face -- here are the findings of the NSF report that point to the centrality of trade secrets in the way that businesses view their actual conduct (at least for those businesses for which IP is important). How can we account for this disjunction? 1. There is simply a fundamental disconnect between the legal and business worlds when trade secrets are concerned. For whatever reason, businesses do not see a role for their lawyers with respect to trade secrets as opposed to patents, trade marks and copyrights. 2. IP lawyers are less versed in trade secret law and protection and therefore are less likely to include trade secrets as part of their mainline practice. 3. The protean nature of the trade secret right allows businesses to use as a type of "catch-all" category for anything that smacks of an intellectual property right, but cannot be housed under any of the other forms of intellectual property right. 4. 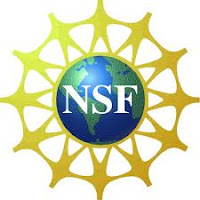 The meaning of "importance" within the context of the NSF survey does not necessarily mean that trade secret protection contributes more to a business than other types of intellectual property rights. At the most, it means something like--"whether or not I protect intangible assets by patents, trade marks or copyright, for sure I keep some of intangible assets secret." Whatever the explanation, this Kat cannot shake free of his anecdotal skepticism about the role that trade secrets play. And whether or not his skepticism is appropriate, what is certain is that we as a profession should be paying more attention to trade secrets as part of our IP practice. Let me attempt a precis: despite a large scale study showing that reputation and tacit knowledge are considered by businesses to be the most important forms of IP for businesses an IP lawyer is concerned that businesses are not spending more money on IP lawyers? What may be being missed in your understanding is that the majority of businesses believe their knowledge and information held is what gives them a competitive advantage. It is their lists of customers, their knowledge of a marketplace, their connections with resource providers etc etc that when combined together creates a successful business. No business would consider paying for an IP lawyer or anyone else to document all this information and file it in a box marked 'trade secrets'. Knowledge is power, whereas IP attorneys are over-paid theorists generally lacking in commercial acumen with an inability to apply legal knowledge to business practicalities. Similar evidence of the apparent preference of UK businesses for trade secrets over IPRs can be found in the Hargreaves Review (p.17) quoting research by Hughes and Mina (2010). It may be stating the obvious, but the fact that little is publicly known about trade secrets, is because they are of necessity, secret. I think that attorneys in industrial practice are more likely to encounter trade secrets that those in private practice. When I was an attorney in industrial practice, I was well aware of the existence of trade secrets, but details and records of inventions that were better protected as trade secrets, were kept by the business units which they belonged to. It is a fundamental principle of confidential infomation handling, that sensitive information should only be held on a "need to know" basis. There was no internal "register of trade secrets"! Businesses that do make use of trade secrets are unlikely to be forthcoming as to the extent to which trade secrets are relied on. Every employee signs confidentiality agreements regarding the handling of "trade secrets". The fact that this form of IP is rarely tracked, tranferred or licensed, does not mean it does not represent significant value. If you take away all IP rights, companies still can use trade secrets and similar know how to gain a competitive advantage. Not surprisingly, this is recognised by businesses yet totally incomprehensible to experts in the particular area of IP law. Non-secret IP (trademarks, patents, etc.) is often a company-wide issue but a trade secret may, even in a large company, be known only to a small group of people. At the department level, I for one certainly can't imagine Engineering sharing all they know with Marketing! Very interesting. We have yet to figure out whether trade secrets are even property in law let alone how to identify them in fact. According to the "Brown Book", Guatemala enacted "Business Secrets" legislation in 2000 (see page 19, Jan 2009 edition). No personal experience, just something that caught my eye when looking up something else. I don't know why the Kat is so surprised: all businesses, from humble tradesmen to the largest multinationals, rely on what they consider to be their "trade secrets", whereas a very large percentage of businesses, by number, if not by turnover, are simply too small to rely on any other form of IP. @Gentoo: you get it wrong. "Trade secrets" are not the same as reputation (which, by definition, is the exact opposite of a secret), nor do I understand what you mean by "tacit knowledge": whose knowledge? "tacit" how? Besides, if the FOSS stands for the free flow of information, I don't see why it should prefer trade secrets over patents. With patents at least there is disclosure. Anonymous@12:57, you are unnecessarily dismissive of IP professionals. At least I, as a patent attorney, always try to remind my clients of the basic three options open to them: patents, secrecy or defensive publication, with the pros and cons of each option. I even openly tell my client when I believe that patenting may not be the best option for him. While this may have cost me some business in the short term, in the long term happier clients are more likely to come back to "overpay" me. It also helps me sleep better. Have you tried getting a patent attorney to discuss trade secrets? He will want you to go down the patent route. Difference (in the UK) about £30K between the two routes. I am a patent attorney, and, as I've just posted above, not only am I ready to discuss trade secrets, it's usually me who introduces them into the conversation, and sometimes even advice that route to my client. I have absolutely no need whatsoever for an angry client who has spent thousands in getting a patent when non-disclosure would have served him better. Who Rules the Domain of the Belgian Pie? Ten days, four pages, one final fling? Can There Be a Performance Right in a Graph?